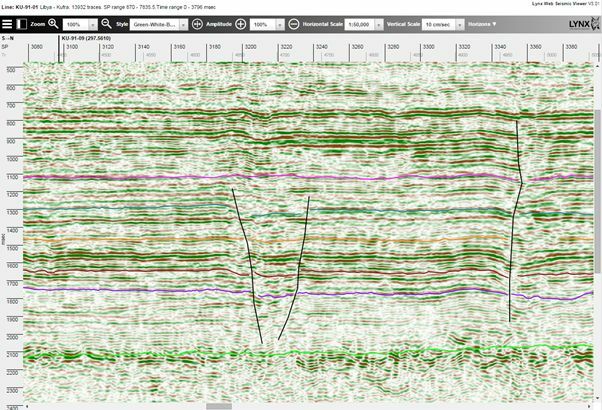 GIS web portals and virtual data rooms are contributing to increasing demands for thin-client visualisation of digital seismic data and wireline log data. 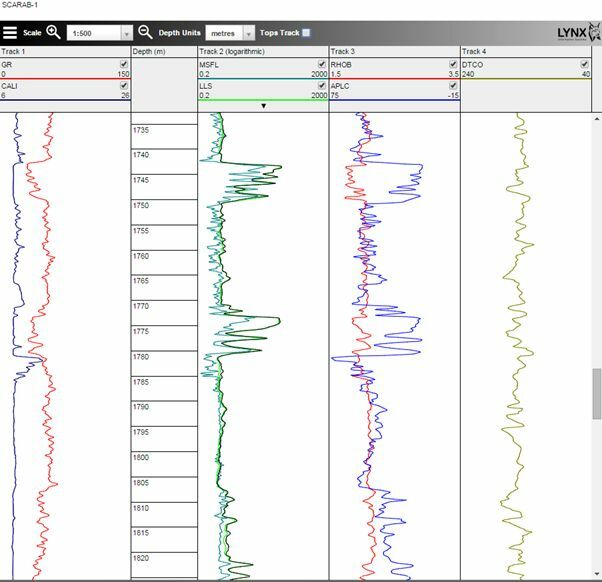 Lynx now offers new HTML5-compatible viewers for modern web browsers which provide interactive display of 2D and 3D seismic data (iSeisview) and wireline logs (iLogview). These apps can be configured either as self-contained viewers, with integrated basemap display and list selection, or they can be linked with your existing web-mapping applications using the RESTful API. Lynx iSeisview is a web-enabled seismic viewer app for displaying 2D and 3D seismic profiles in a standard web browser. You can explore an interactive demo of 2D seismic lines here: https://data.lynxinfo.co.uk/apps/iseisview/SWApproachesSeismic, and a demo of 3D seismic surveys here: https://data.lynxinfo.co.uk/apps/iseisview/ukogl3d. iSeisview shows seismic profiles with interpreted horizons, faults and line intersections in an interactive web browser window, compatible with any modern web browser. Lynx iLogview – is a brand new web-enabled viewer for wireline log data. iLogview shows wireline logs in a familiar interactive composite log display. Formation tops and core photos can be added in separate tracks. iLogview V1.0 is due for release in autumn 2015. Please get in touch if you would like an early evaluation. iSeisview and iLogview may be licensed for internal use within your organisation, or for external use on public-facing websites. We can also provide short-term hosting solutions for virtual data rooms and farm-outs. If you have any questions about the technical implementation of iSeisview and iLogview, queries about the licensing and deployment options, or if you would like to arrange an evaluation, please contact us. This entry was posted in Announcements, iseisview, Seismic, Software and tagged weblogview, webseisview. Bookmark the permalink. Great article. Thanks for posting!